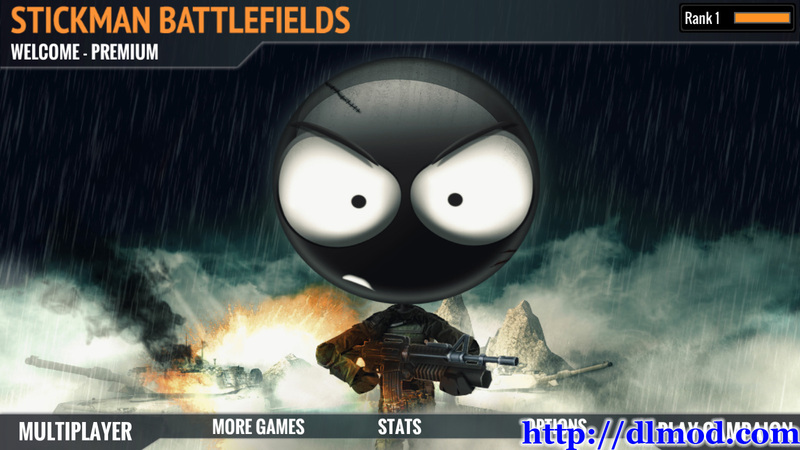 Experience ultra realistic and action packed arcade battlefield atmosphere in this awesome tactical arcade shooter. Equip your favorite weapons, explosives and gadgets and battle through the single player campaign or take part in the realtime synchronous multiplayer online mode where you can even board vehicles, tanks or attack helicopters to battle your online enemy players. Play in highly dynamic landscapes, ranging from snowy mountains, beautiful beaches to windy forests. 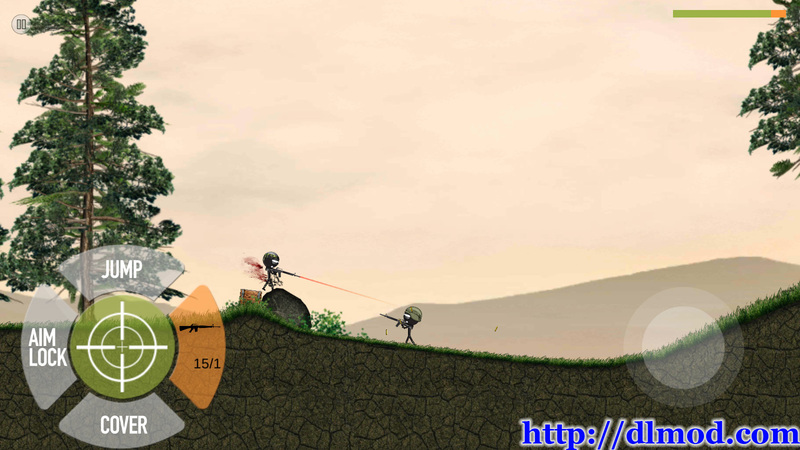 Destroy trees, blow out all the windows of buildings or use your tank to trample down everything right before you parachute behind the enemies lines. There is an issue with Samsung Galaxy 3 mini and Samsung Galaxy Tab 3 devices. (The normal Samsung Galaxy 3 works just fine). We are aware of this issue and actively working on a fix. Thanks! 9999 XP for each stage. 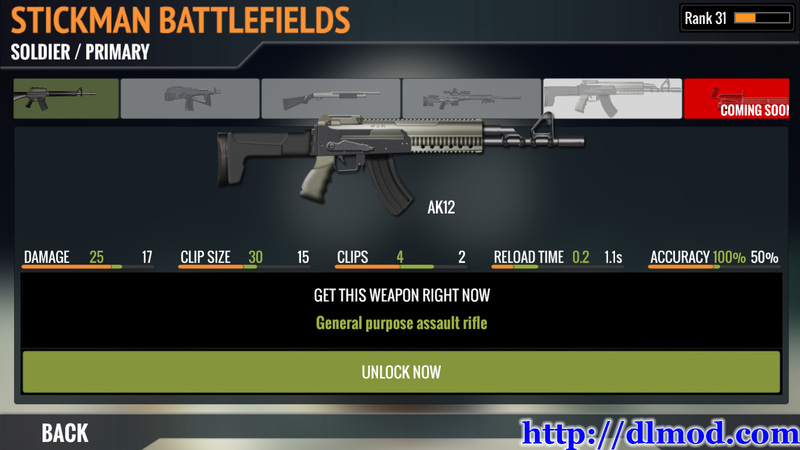 Extract it to get a folder named com.rsz.StickmanBattlefieldsPremium�and the apk file. Place the folder extracted in sdcard/Android/obb.